Brand new mirror for sale, $20. 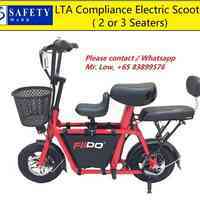 Suitable for bicycle, scooter, mobility scooter. Please contact / Whatsapp Mr. Low, +65 83899576. Self-collect at Blk 504D Yishun St 51, 764504 or postage at $3.